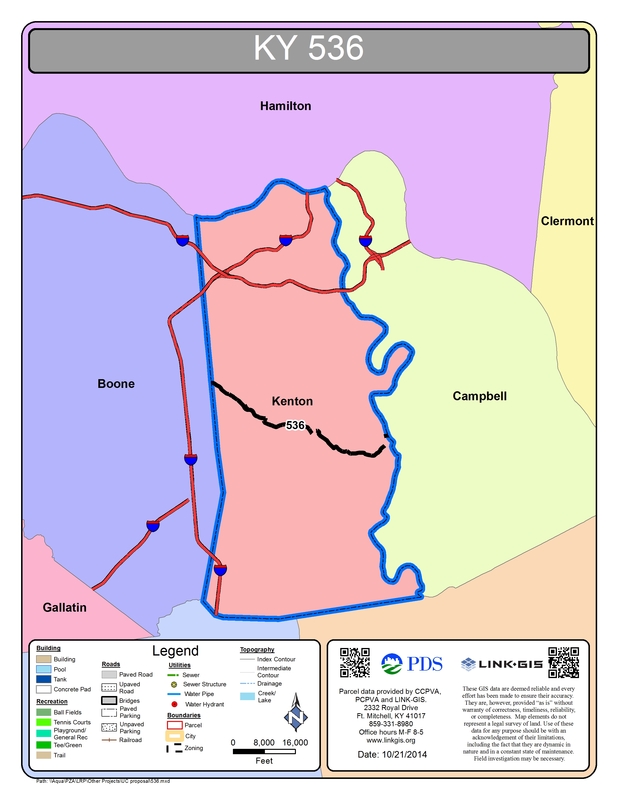 As far 15 years ago, the issue of east/west connectivity was one of formal discussion in Kenton County and Northern Kentucky. Recently Direction 2030: Your Choice, Your Voice, found through intense public outreach that the issue of east-west connectivity remained an important issue in Kenton County. As a result, Direction 2030 contains recommendations for east/west connectivity south of I-275 as identified within the Concept Map, Mobility, and Land Use Elements. The western portion of KY 536 is currently designed and moving towards implementation. Right of way acquisition and utility improvements are slated for fiscal years 2016 and 2017 respectively and construction should commence as soon as the project is funded by the state. In addition to this, OKI is undertaking a scoping study for the eastern part of the corridor to identify potential red flags, document existing conditions, and define a preferred alternative for the new road. 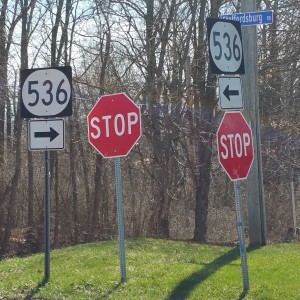 Expanding the capacity and increasing the safety of KY 536 will provide much needed improved east/west connectivity across Kenton County and Northern Kentucky. The roadway also has the potential to bring additional residential and economic development opportunities to the City of Independence. Direction 2030: Your Voice, Your Choice recommends that the impact and opportunities created by the widening project be studied prior to its completion. 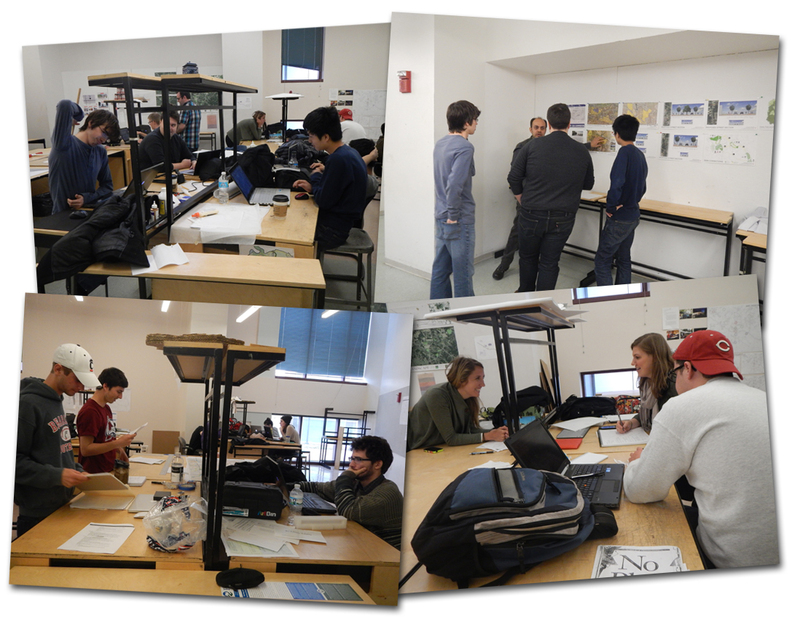 As a result of these recommendations, PDS is collaborating with a University of Cincinnati studio class in the College of Design, Art, Architecture, and Planning (DAAP) to develop a plan for KY 536. The Vision Plan for KY 536 Environs is examining the potential impact of the expansion of a major east-west corridor across the middle and southern portions of the county. Students are exploring a number of planning issues that are critical in understanding the socio-cultural, ecological, economic and political structure of the environment. The final report, while not formally adopted by any Board, Commission, or Legislative Body, will serve as a starting point for future planning efforts for the area. The final report will generate creative ideas from students that can be used for further planning along the KY 536 corridor in the future. Due to copyright policies these articles are not available in PDF form. Click here to visit the Enquirer’s website to purchase articles.